It is becoming clear that incorporating vegetables and fruits into everyday meals is essential for human health maintenance from many experiments. Vegetables and fruits have been found to contain a variety of functional ingredients in addition to the three major nutrients. These functional ingredients are involved in digestive enzymatic degradation, detoxification and obesity prevention. 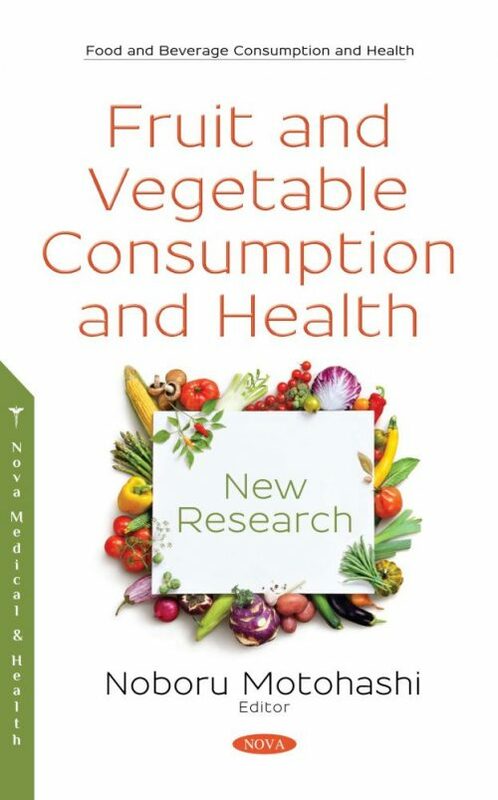 This book mainly describes the effects, preventions and treatments of phytochemicals: Chapter 1: “Medicinal Phytochemicals (Dietary Fibers) and Health Effects in Fruits and Vegetables”; Chapter 2: “Fresh Fruit and Vegetable Bacteria: Diversity, Antibiotic Resistance and Their Possible Contribution to Gut Microbiota”; Chapter 3: “Fruits and Vegetables Consumption and Their Effects on Human Health: Current Research in Malaysia”; Chapter 4: “Fruit and Vegetable Consumption: A Case Study of Food Culture vis-à-vis Health Awareness among the Students of the University of Johannesburg, South Africa”; Chapter 5: “Eating Three Portions of Fruit per Day: The Role of Gender in the Theory of Planned Behaviour”; and Chapter 6: “New Design Solutions with an Inventive Step for the Chambers of Fruit and Vegetable Warehouses”. These chapters will provide more advanced information to researches for developing new drug designs of phytochemicals. 1. for students (undergraduated and graduated): pharmaceutical, medicinal, biological students.